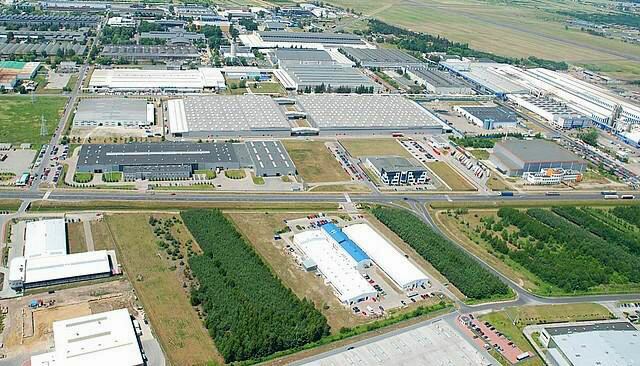 Mielec Industrial Park is an industrial area established as of March 17, 2005 by the City Council of Mielec in order to industrially use and develop abundance in production assets left after restructurisation of the state-owned, local company “WSK-PZL” Mielec. Management in the Park has been entrusted with the Agency of Regional Development “MARR S.A.” under agreement signed with the Municipal Commune of Mielec, the owner of industrial land of about 100 hectares. Mission of the Agency, established on December 16, 1991, is “ Creating of equal chances in access to economic potential of Mielec County and Podkarpacie Voivodeship to an individual, a firm or an institution therein”. Over 17 years of its functioning as a non-profit organization among business environment institutions in Podkarpacie region, the Agency has been mainly active in business support to entrepreneurship development through investment grants, training, consulting and loans. Additionally, in recent years it has been functioning as the Regional Financing Institution in Podkarpacie region. Other tasks of the Agency include running of the Incubator of Entrepreneurship, one of the first of a kind in Poland, as well as management of industrial infrastructure developed in the Mielec Industrial Park. Mielec Industrial Park (MIP) is situated in the area of Mielec , a 65-thousand people town in north-western part of Podkarpacie Voivodship. 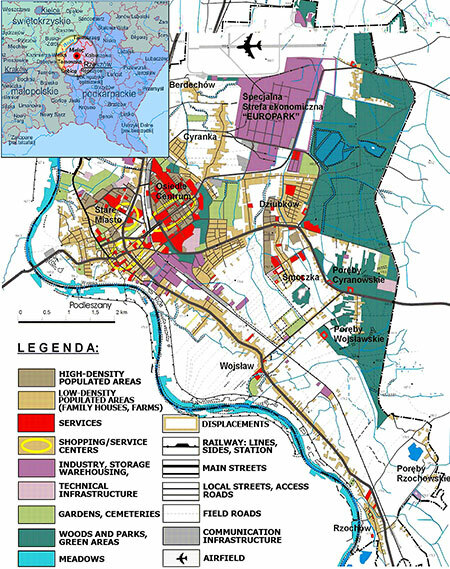 A significant part of about 40% of the total area of Mielec Commune is designated to industrial development in: housing, industry, transportation, communication and infrastructure. 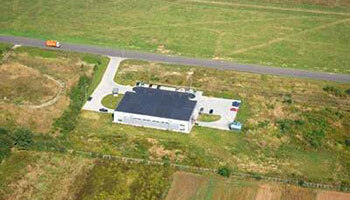 Mielec has an airfield of 278 hectares capable to handle non-scheduled passenger and cargo flights. Special Economic Zone EURO-PARK MIELEC located in Mielec offers investment benefits in corporate tax exemptions to entrepreneurs willing to set up new projects on infrastructurally prepared land, or in available existing production facilities. More than 100 businesses in variety of industrial sectors in the zone represent a considerable potential for industrial cooperation. 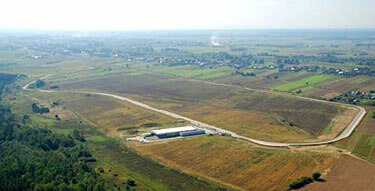 About 100 hectares of the MIP land with production infrastructure in place, spreads over the area within the boundaries of the Special Economic Zone EURO-PARK MIELEC, which means that investors willing to start up projects in the Park get entitled to apply for income tax exemptions available in the Zone. Locations in Mielec Industrial Park. 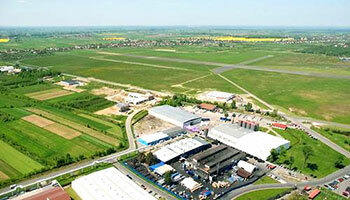 Location “A” - an area of 60.6 hectares bordering to separated part of the airfield, designated to investors from aviation and automotive industries. MIP - top view, March 2009. MIP - location A - view of a production hall, March 2009. MIP, Location “B” - area of 40.9 hectares, situated alongside the voivodeship road Mielec - Dębica, designated to investors from industries using modern and high technologies. 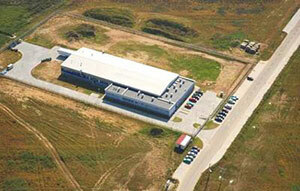 MIP, location B - top view, March 2009. MIP, location B - view of a production hall, March 2009. MIP, Location D - an area of 3.2 hectares, added to the area of Location “B”, as it’s back up land available to investors from industrial sectors using modern and high-technologies. IN-Tech1 Incubator - an area of 2.0 hectares with facilities of the IN-MARR Incubator of Entrepreneurship available to entrepreneurs just starting up business operation. The Incubator has been operating within the Special Economic Zone EURO-PARK MIELEC in business the environment of more than 100 different manufacturing and service firms. IN-Tech2 Incubator - an area of 0.5 hectares with a building formerly used as a vocational school, spreading over southern part of the SEZ EURO-PARK MIELEC, in the central line of building development plan, directly bordering to the main road. At present, the Agency is in the process of completing a project named “ Building Construction of the IN-Tech Incubator of New Technologies and Industrial Development of the Mielec Industrial Park”, from funds of “ The Operational Program of Development of South-Eastern Poland in the Years 2007-2013”. The project includes building of the IN-Tech 1 and the IN-Tech 2 Incubators by adaptation and modernization of the existing structures, as well as extension of infrastructure in the Park to increase its functional capabilities. The area of IN Tech 1 - a modern production hall will be built and the currently operating Incubator of Entrepreneurship will be enlarged and modernized. Design bureaus, laboratories and prototype shop equipped with modern facilitations will employ teams of experts to render variety of services, as needed by investors. 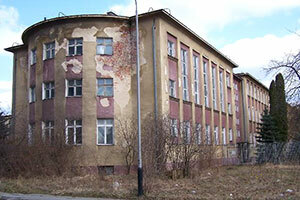 The area of IN-Tech 2 - the existing building of ex-vocational school will be renovated, modernized and equipped with the up-graded telecommunication system. 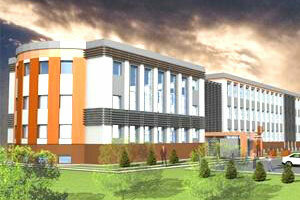 Location C - new production hall with an office space will be build. In location D of the Mielec Industrial Park it is planned to build electric power supply line and a road to shorten travel time to work for people commuting from the town. Offer in the Park to investors includes land for industrial development from scratch, to buy or to acquire on terms of perpetual usufruct, as well as newly- built production halls to buy, to rent or to lease. Land bordering to the airfield in Location A are designated to investors from aviation-related industries, while area in the Location B will group businesses representing variety of industries using modern technologies and engineering. Regional Development Agency MARR S.A.